Peacefully at the Northumberland Hills Hospital in Cobourg on Monday, January 21st , 2019, Lorne Barton in his 90th year. Cherished spouse for 69 years of Jean Barton (nee Gabel). 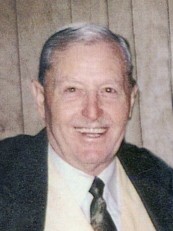 Beloved father of Brenda James and Sandy Burge (Bob). Loving grandfather of Todd (Debbie), Danielle, Ryan (Cathy), Tyler and great grandfather of Addison, Payton, Sydney, Gabriel, Alannah. Dear brother of Delford, Jim, and Dolly. Cremation with a Celebration of Life Gathering at the R.C.L. Branch #133, Orr St in Cobourg on Saturday, February 9th from 2 to 4 pm. Those wishing may make a memorial donation to R.C.L.Branch #133 Poppy Fund or to the Northumberland Hills Hospital Foundation. Condolences received at www.MacCoubrey.com. Saturday February 9, from 2 - 4 p.m.